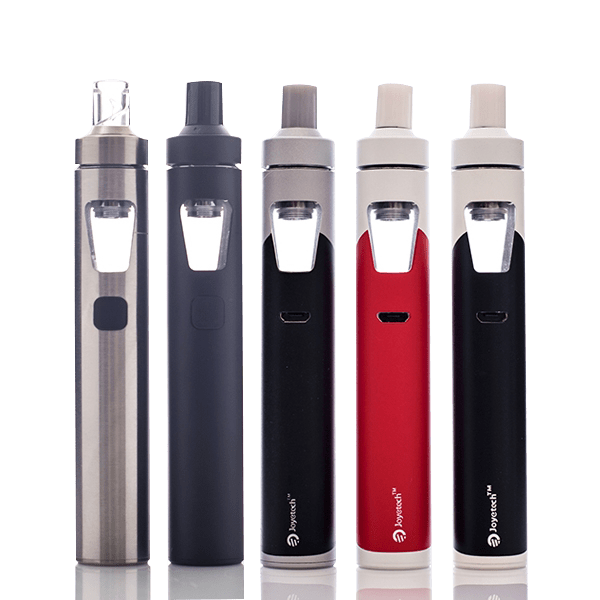 Purchasing a high-quality vape device can take your vaping experience from mediocre to out of this world, with some of the best vape devices featuring a full range of user controls, high-tech interface designs, and incredible performance capabilities. Instead of shopping with companies that stock cheaply-made, imitation vaping devices, browse VaporFi’s selection of premium products and find one that will do the job right. With a wide range of brands, styles, types, and price points, the VaporFi inventory of vape devices sets the vaping industry bar at an all-time high. Thanks to the availability of many different types of vape devices, vapers with a wide range of preferences and vape styles can find the perfect match. To identify the best vaping device for you, first consider the differences between each type. The two most common types of vape devices are vape pens and vape mods. Vape pens are mid-sized e-cigarettes that offer a moderate amount of user control options. The battery size (larger than that of a mini model) provides convenience because users don’t need to recharge as often. Vape pens are especially popular with people who are former heavy smokers, using vaping as a transition away from tobacco cigarettes. Another plus of a standard vape pen is that because it can be taken apart by the user, it allows the replacement of a single part as needed, rather than requiring repurchase of the entire device. This structure also means that vapers can upgrade their device by using a mix-and-match approach to add premium parts. Vape mods are the largest type of vaping device, and they allow a generous degree of user customization. A large battery provides increased power in comparison to a smaller vape pen. You will see vape mods in two different shapes: in a rectangular “box” shape, or in a slimmer tubular design. For most vapers, a vape mod is the device that they graduate to after some time using a vape pen. Because vape mods are a more complex device, they do require a bit more knowledge and experience to operate properly. Users have the option to customize elements such as the voltage, temperature, amount of liquid used, nicotine intake, and more. VaporFi stocks a range of vape devices for you to choose from, including options from big brands like SMOK, Wismec, Vandy Vape, and Innokin. Our in-house VaporFi brand is a top-rated customer favorite, with user-friendly features and excellent price points. Among top customer favorites are the Vandy Vape Pulse BF Squonk Vape MOD by Tony B., the SMOK Alien 220W TC MOD, and the VOOPOO DRAG 157W TC Vape MOD. Or, try our Custom Vaporizer Builder program and design your own device with just a few clicks of your mouse. If you are new to vaping, it is worth taking the time to learn a little bit about the different devices, options, and features. This will allow you to make a more informed selection when you are choosing your device. Starter kits are especially recommended for beginning vapers, as they provide you with a VaporFi-curated collection of everything you need to get started, Plus, kits and bundles can save you some serious cash! Even if you are an experienced vaper who is familiar with your vaping preferences and the big vaping brands, it can be helpful to talk to fellow vapers about their favorite devices. They might be able to offer valuable insight on the topic, perhaps pointing out details that you hadn’t thought of. The online vaping community is also an excellent resource for product information. Unlike many other vaping companies, VaporFi operates on a guiding principle that seeks to consistently provide customers with the best possible experience, from browsing and purchasing to actually using their new vape products. This sets up apart from many other businesses in the vaping industry and has earned us a devoted customer following. The first step we take to ensure our customer satisfaction is including only the very best vaping products in our inventory, refusing to compromise on quality, features, or design. Then, we make the purchase process incredibly easy by providing detailed product information, user reviews, and an on-call support team to answer any questions you may have. Once you receive your VaporFi purchases, you have the reassurance of knowing that you have 30 days to decide if they are a good fit. If you decide that they are not, we will refund your money with no questions asked. This dedication to our customers is what makes VaporFi different, and it is why you should make our vape store your first and last choice for all your vaping needs. When you shop at VaporFi, you can feel confident about every purchase you make!